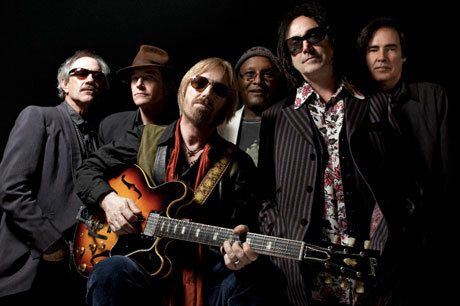 Tom Petty and the Heartbreakers have been prepping their album Hypnotic Eye, and now they've confirmed its release date, along with a heap of North American tour dates. The album will be out on July 29 through Reprise Records. Days after that, the tour will begin. It runs for more than two months from early August to early October, in which time the band will kick things off in California, head to the eastern seaboard and eventually make their way back. In addition to lots of U.S. shows, Petty and company will come to Canada for concerts in Vancouver, Edmonton, Calgary, Winnipeg, Toronto and Montreal. Steve Winwood will open all of the shows. See the schedule below, and scroll past that to watch a preview video for the tour. Tickets to most shows go on sale on May 31, although the Montreal date goes on sale June 7. Hypnotic Eye will be available on CD, single LP, double LP, and digital download. Pre-orders will begin on June 3. Members of Petty's Highway Companions Fan Club will automatically get a CD copy of the album, plus the digital concert album Live 2013.